Ethnic mailing lists – for diverse marketing results! At ProMarketing Leads, we understand that at times, focused ethnic mailing lists are exactly what are needed to achieve more diverse results from a highly targeted direct marketing campaign. Because unique cultural backgrounds and religious beliefs are often the most significant parts of an individual’s focus in life, ethnic mailing lists open up a great range of opportunity. With dozens of ethnic groups to chose from, we can help you tap into the millions of households that are likely to be interested in your culturally targeted products and/or services. Our highly targeted lists are compiled from all sorts of sources, including census data, public documents, and financial material. We can zero in on segments of ethnic groups that are most likely to be interested in what you offer. Because ethnic lists can drive down to a very accurate level of prospect targeting for culture-specific products and services, the lists’ prospect conversion rates tend to be at the higher end of the scale. Ethnicity, culture, race, and religion are all very effective niche selects. Also popular is targeting by a specific spoken language. What Types Of Ethnic Mailing Lists Do We Provide? And Much More. Ask Us! ProMarketing Leads is a customer-focused full service list broker. As such, we have exclusive access to tens of thousands of unique lists from the industry’s leading network of sources. Know that we stand behind all of the lists we provide – our very high quality ethnic marketing lists are precisely accurate with the best delivery rates possible. We’re also happy to provide custom telemarketing lists, email lists, and many other types of direct marketing data for your ethnic marketing campaign. 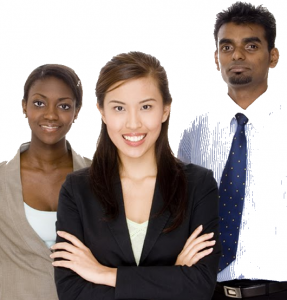 We’re ready to help you acquire the best ethnic mailing lists available today. Call (866) 397-2772 to learn more about our company or contact a friendly service rep today for more information!